Staying connected to UF has never been easier! Download The Gator Nation® app on the iTunes App Store or Google Play below. After download and install, click the "Member Login" tile, and enter your last name and email address to authenticate. Problems? Email Us. 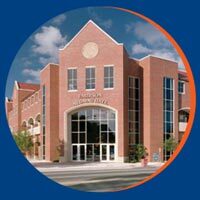 The Gator Nation® app brings the power of a UF Alumni Association membership to your smart phone. Available for Apple and Android devices, the mobile app is perfect for Gators at every stage of their journey – current students, alumni and fans.